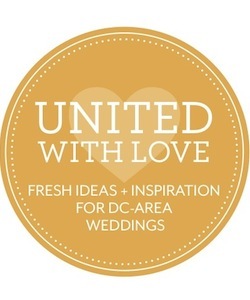 I’m excited to announce that I’ve partnered with DC wedding blog United With Love on a monthly blog series discussing at-home wedding tips. I’ve mapped out 12 months of topics, ranging from wedding tents to lighting to permits as well as more fun things like decor and stationery. What topics would you like to hear from me about? 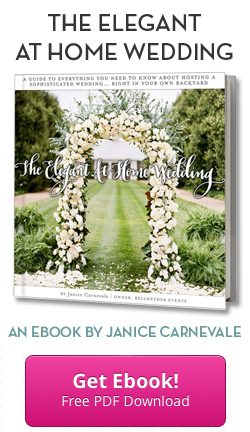 My first installment is an introduction to the topic of home weddings, discussing the two most important factors when deciding whether or not to host a wedding at home: space and budget. I dive into the space needed for all your guests and staff, including wedding tents. And I broach that not-so-fun topic of budgets, and how a home wedding is often the most costly option you can consider. Photo by Katie Stoops . You can see more from this Virginia home wedding, including the wedding details, the backyard wedding ceremony and the tented wedding reception.